Get Master Chief ready for battle with his Mark V Armor Accessory Set! 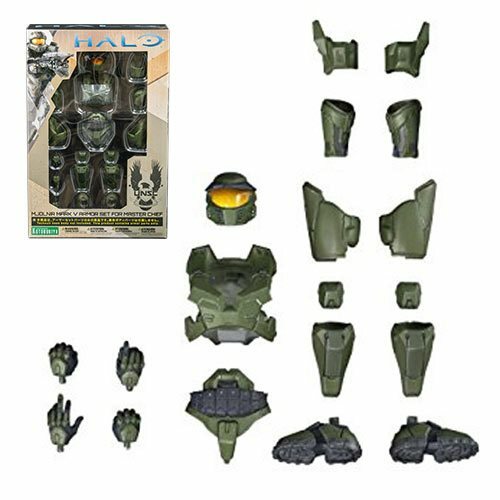 This Mark V Armor Accessory Set is a special add-on armor pack that is compatible with the Master Chief Techsuit body from Kotobukiya's Halo 4 Master Chief ArtFX+ Statue (sold separately)! Armor pack includes the Magnum and 2 different sets of hands, one of which can hold the Energy Sword from the Mark VI armor set (sold separately)! The Halo Master Chief Mark V Armor Accessory features snap-fit parts to easily attach onto the Master Chief ArtFX+ Statue. Ages 14 and up.